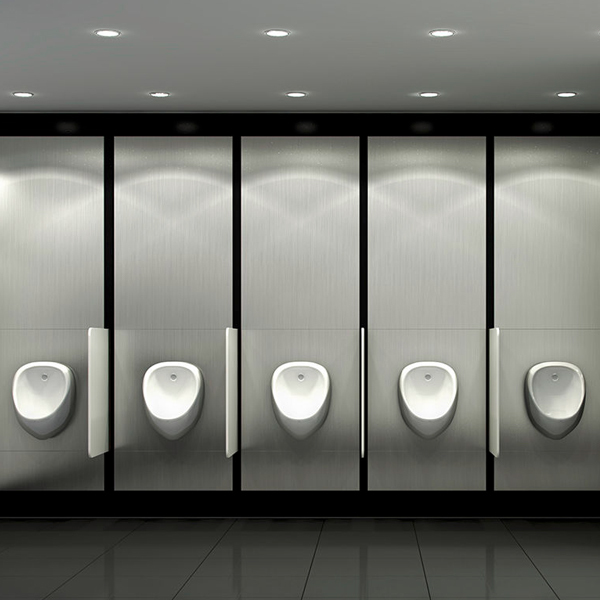 Allied have designed, supplied and installed washroom systems to small, medium and very large projects in the Commercial, Leisure, Educational and Public Building sectors in Ireland over the last 10 years. Allied work with Ireland’s leading architects and designers to create washrooms that are “best in class”.Our Polo, Icon and Oasis ranges are framed cubicles and these are in contrast to Ribbon and Flow which offer a Flush Cubicle Finish in laminate, veneer, acrylic, glass, stainless steel and brushed aluminium. Heights of our systems vary between 2000mm high and 2700mm high (Flow and Oasis) and our Floor Gaps also vary from 8mm to 150mm or higher if required.Companies in Ireland who have chosen Allied/Thrislington solutions over the last 10 years include Apple, Google, JP Morgan, Kennedy Wilson, UCD, Trinity, Croke Park, Aviva Stadium, and many many more. Thrislington believe that great design should be invisible. Which is they have spent the last 40 years obsessing over every little detail, testing, checking and retesting every hinge, foot and lock, developing and engineering new ideas such as the patented self closing mechanism. 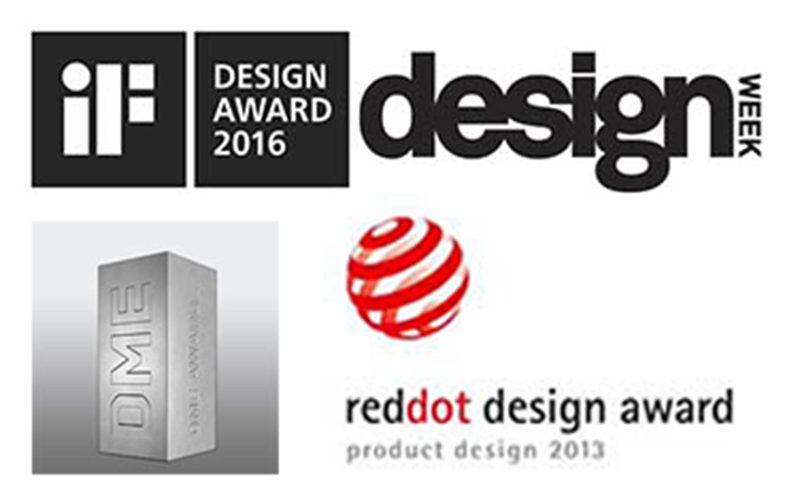 Thrislington have won many awards over the years for both design and manufacturing, from Design Council, D&AD, Design Management Europe, Design Week and more recently the Red Dot Design Award. Flow full height toilet cubicles are the ultimate in durability, strength and style, satisfying your need for extra privacy. Now you see it now, now you don’t. Our new system, another of our intelligent glass options, is designed to change the way you see washroom space. The doors shift from being clear glass to completely opaque as soon as the lock is engaged thereby providing the user maximum privacy, and the client with a unique signature design. 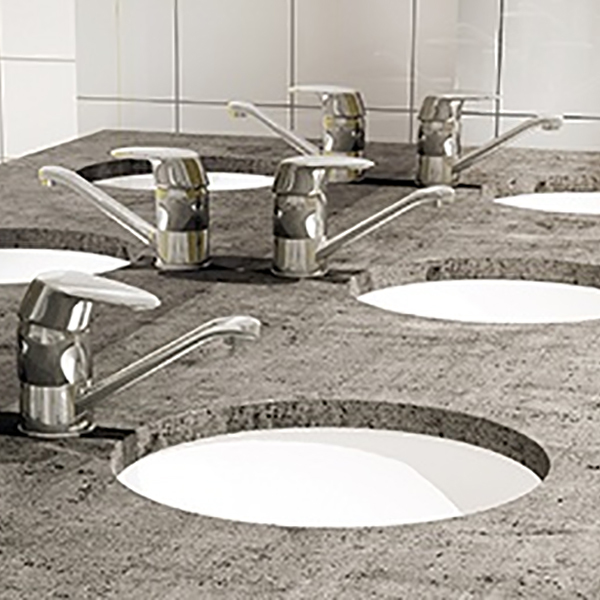 A collection of toilet vanity units that are contemporary in style and highly functional. Whether you’re looking to create a prestigious luxury finish or something simple and understated, the Thrislington collection has everything you need. We offer a range of different vanity units ideal for any specification and all designed to match perfectly with the rest of our range. Our new system, unrivaled in the cubicle world and the first of our intelligent glass options, emits a light which can be programmed to change colour. The colours can be completely specified and can link to the lock, creating a different colour cubicle if either used or engaged. Icon washroom cubicles utilise space and aesthetics in a way that challenges conventional cubicle design A perfect marriage of elegance and smart thinking, Icon’s clean lines are only made possible through its intelligent details, which include engineered aluminium fittings and self closing 27mm thick doors. 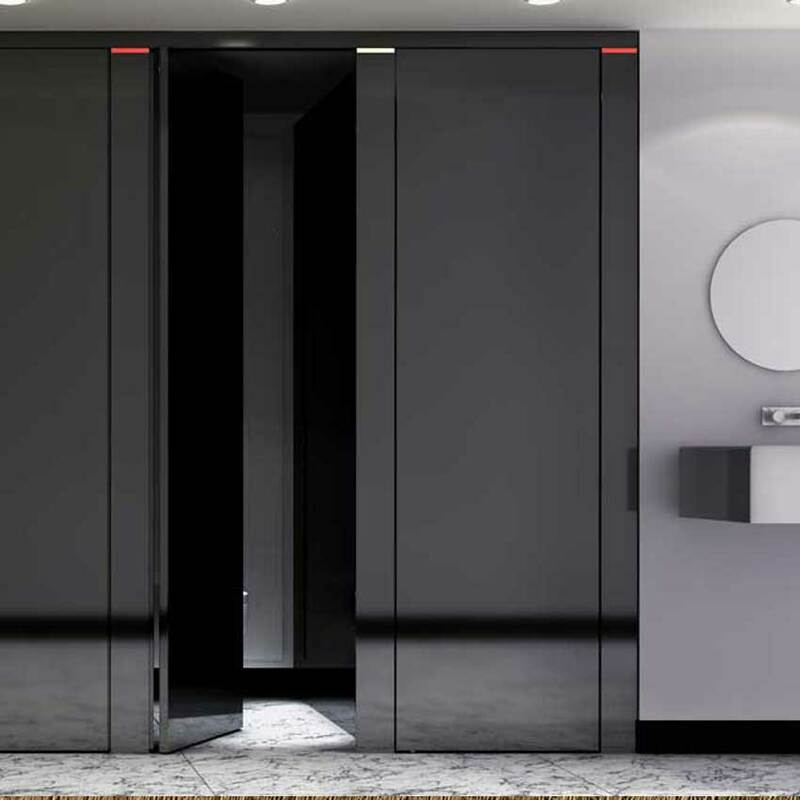 The sleek, in line facade of the Ribbon toilet cubicle is a clear design statement. A statement many commercial offices now demand, and one the Ribbon washroom cubicle can achieve with surprising affordability in both standard or floor to ceiling height. Value engineered perfection. Our most cost effective cubicle still has the standard Thrislington features that other cubicles in its price range can only dream about. Combining superb design quality with outstanding value our Polo toilet cubicle range includes toilet cubicles, duct panels and washroom vanities. A superb solution for wet and dry environments, Polo washroom cubicles are supplied with everything you need for a fast, easy build. Our Oasis washroom cubicle systems provides a contemporary streamlined feel to any washroom. With stepped back stainless steel feet that make cleaning a breeze, our top of the range, gold medal system not only looks beautiful but also contains our patented integral hydraulic door closer, meaning that doors close quietly, slowly and beautifully. A ground-breaking IPS system that ticks all the boxes. Sentry is simple, flexible and compatible with all Thrislington products. Plus, it’s adaptable enough to work across any sector. The Sentry IPS system is elegant, allows maintenance-free access and is built to last. A collection of toilet vanity units that are contemporary in style and highly functional. Whether you’re looking to create a prestigious luxury finish or something simple and understated, the Thrislington collection has everything you need. Value engineered perfection. Our most cost effective cubicle still has the standard Thrislington features that other cubicles in its price range can only dream about. Combining superb design quality with outstanding value our Polo toilet cubicle range includes toilet cubicles, duct panels and washroom vanities. 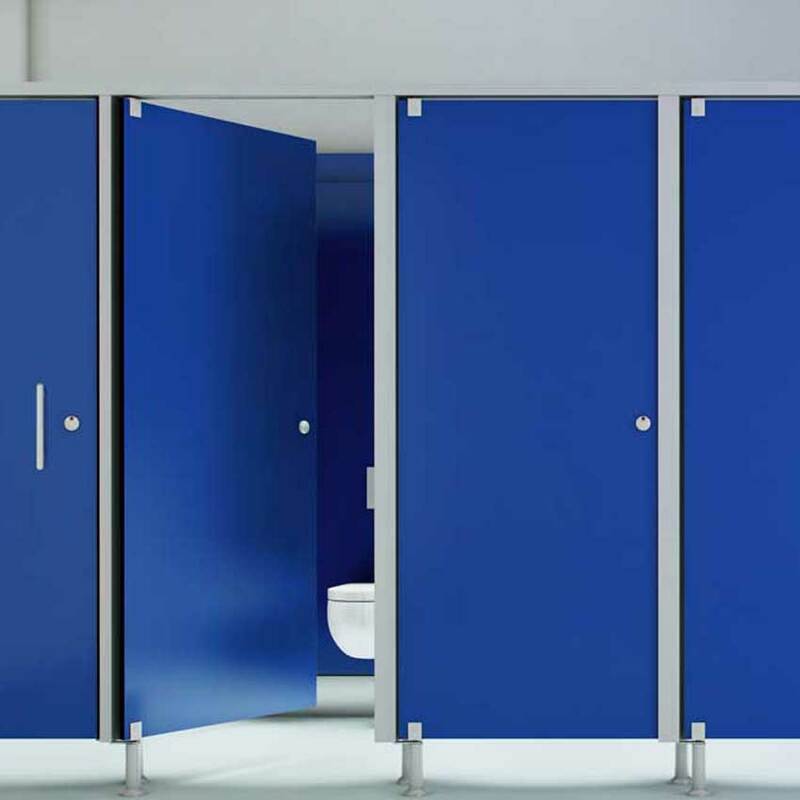 Thinking about using our Toilet Cubicles solutions?